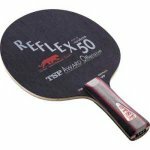 Looking after your new table tennis bat is important, and will not only maximise it's performance, but will also extend it's life time, saving you money as you won't need to change rubbers/blades as often. If you buy a brand new blade, it's well worth getting the blade sealed, if it's not already sealed. Sealing the blade means putting a thin layer of varnish/lacquer on the playing surfaces of the blade, which (1) stops water from soaking into the wood when gluing with water-based glues, and (2) stops splinters of wood coming off the surface when removing a used rubber. 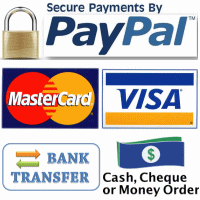 OOAK Shop provides a free service for new blades, and also sells blade sealers specifically for table tennis so that you can do it yourself. Used blades can also be sealed, but need to be thoroughly cleaned before sealers are applied. Rubbers must be kept clean and away from the elements, to ensure maximum performance and best longevity. If not kept clean, chemicals from yor fingers and sweat will eat away at the rubber, and dirt or dust particle will grind into the delicate surface upon impact, wearing down youjr rubber prematurely. On inverted (smooth) rubbers, clean regularly with water and a cleaning sponge. This should be done at least after each session, or many top players clean even in between games. Dust and dirt particle do not only affect the rebound & grip when a ball hits it, but the impact also grinds the particles into the delicate rubber surface, reducing it's lifetime considerably. OOAK carries soft and non-abrasive cleaning sponges, which should be made moist (not soaking wet) to wipe off dust & dirt regularly. For non-tacky rubbers there are a number of cleaners available, all work well. Personally I find the foam cleaners the best, as they they to restore the rubbers in addition to just cleaning it. Spinmax works well on tacky rubbers and is usually best at actually restoring the tackiness. The foam cleaners work well on these rubbers too. Usually these rubbers don't require anything more than a wipe with a moist cleaner sponge, but if they're of a special grippy/tacky type, use one of the cleaners mentioned above. With very short pimple, you might get away with cleaning like a (non-tacky) inverted rubbers, but if the pimples are longer (like medium & long pimples), cleaners are not recommended, as the liquid gets too easily trapped. If you rely a lot on the grip of the pimple (as most attackers do), then a pimple brush is worthwhile (or a very soft toothbrush), just to get the dust & dirt particles off the pimples. If you rely more on spin reversal (like many long pimple), then little maintenance is required, just check the rubber for loose bits and wipe them off. Protection sheets are vital to maintain the grip on the rubber, as well as extending it's life. 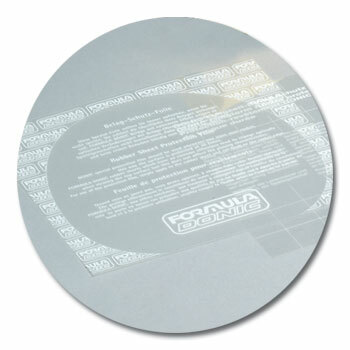 For tacky (sticky) rubbers) a basic non-adhesive plastic protection sheets will do. Although any plastic sheet can be use (just make sure there are no chemicals on it! ), OOAK has some cheap ones which are nice and rigid, and these even come with cleaning instruction printed on the sheet. For non-tacky rubbers, an adhesive protection sheet is highly recommended, as it helps stop the rubber surface from drying out. While edge tape on the side of your bat is not required, it does offer some protection to the blade (in case you hit something) and helps keep the rubber on the blade. Some people only put edge tape on the wooden part of the bat, but when OOAK Shop assembles a bat we choose an edge tape that covers the wood as well as most of the rubber edge (as much as possible), which does look better and does offer a bit more protection to the rubber edge. For extra protection, multiple layers can be used (but each layer does add a few gramss of weight to your bat). 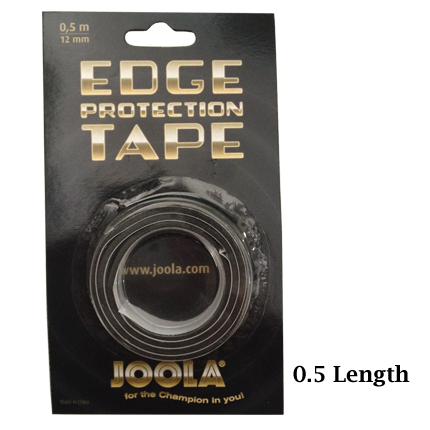 For extra protection, OOAK shop stocks some 'foam edge tapes', which is a much thicker edge tape that provides more cushioning, and therefore even better protection (mainly for the blades). Particularly blades that use softer woods (like balsa), this is recommended. Note: Edge tape must only cover the bat edge and not protrude beyond the rubber surface, or it can be deemed illegal for competition. As well as applying the protection sheets, its worth keeping your bat in a bat case / cover, which protects it from UV light (which slowly destroys a rubber surface), and protects if from any accidental damage. Any bat case is a lot better than nothing, but obviously some provide better protection than others. The blade-shaped covers provide decent protection, but are not usually as good as the rectangular ones, because with blade-shaped cover the edge of the bat easily rubs against the edge of the cover, which can cause tears on the edge of the rubber (some synthetic rubbers are particuarly prone to this). Over time many of us will hit the edge of the table, or rub the rubber on the table surface or something else, causing the edge of the rubber to dislodge. Once the edge is loose, it will usually just get worse over time, eventually ruining the rubber requiring replacement. Gluing the rubber back down soon after it's happened will usually prevent it from further, so it's well worth doing. Just lift the rubber where it's coming loose, dab on a little glue and spread it around, wait for a couple of minutes, when push it back down, and keep it in a clamp or under some books for a little while (put on protection sheets if you have them). OOAK recommend the Donic Formula Glue, as it's easy to use and carry around. OOAK shop has created some accessory packs specifically for bat care. All the bits in the packs are purchased seperately, the packs are just recommendation for typical users.